Meet at Solstice Outdoors at 8:30 am, then caravan to Gurney. We expect to be back at the shop by noon. Anyone who wants to keep hiking, exploring more waterfalls, we can point you in the right direction for more fun spots nearby! 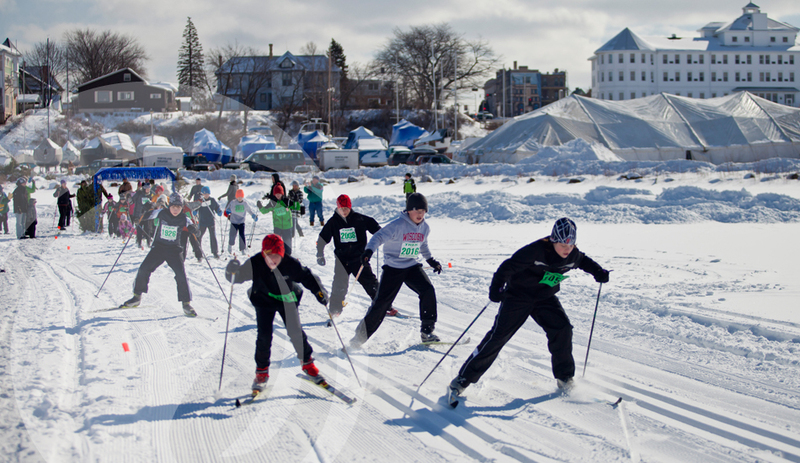 Join us for the fun, free kid's ski race on Lake Superior before Book Across the Bay. The event is open to all kids 12 and under. Registration opens at 10a.m. inside the Blue Wave building at Solstice Outdoors. The race starts at 11a.m. for kids 8-12 and 11:30a.m. for under 8. Every participant will receive a metal, hot chocolate and a cookie. 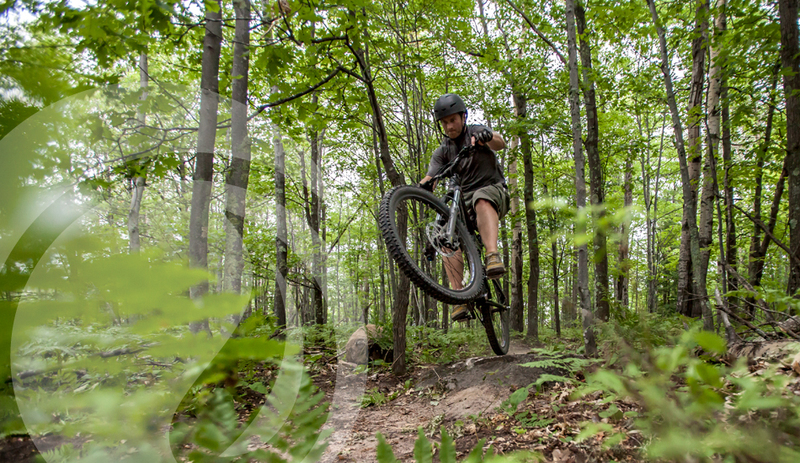 Join us for a free stomp around Prentice Park on the pack trails. We’ll have a bonfire, hot chocolate! 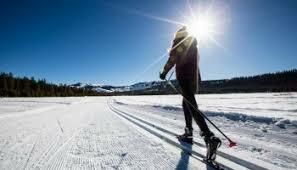 Bring your own snowshoes and the family and enjoy a little fresh air and fun. If you need snowshoes we’ll have so to use. Grab a friend and join us for a Sitka Gear brand presentation, appetizers and 2 for $6 PINTS at the Sandbar. Sitka builds gear systems to enhance a hunter’s experience. If you hunt, grab a friend and join us! Kick off summer with us on Saturday, May 26th 9a.m.-6p.m. We'll be chillin' with a beach fire weenie and smore roast. Plus free kayak and paddleboard demos all day, weather permitting. Of course we'll have summer steals and deals including our best pricing, 15% OFF, on new Surftech paddleboards. Register your kiddos for the Book It - Kids' Race! On Lake Superior, Saturday morning before Book Across the Bay. 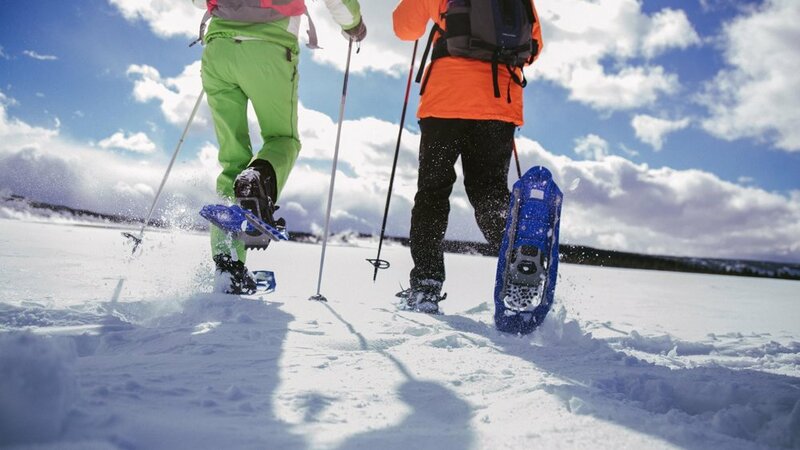 Come snowshoe with Solstice Outdoors and the Ashland Parks and Recreation Department on January 21st at Prentice Park. This fun, guided hike will start at 10am. Bring your snowshoes or we will have some to borrow! We can’t wait to enjoy the outdoors with you! Join us for our Spring Expo as we kick off summer in style! We'll have FREE paddleboard and kayak demos throughout the day. Plus amazing deals on new paddleboards. Come down for specials throughout the store, camp cooking demos, wienie roast, smores and a beach fire. Test out hammocks, tents and sleeping bags andregister for door prizes. Get lucky when you join us for lunch at Solstice on Main Street. Get a discount at the door + FREE Lady Luck Sweetpea Soap. Lunch bites and shopping. It's your lucky day! Register your kiddos for the Book It Kids FUN Race on Lake Superior Saturday morning before Book Across the Bay. Book It is a FREE, fun race open to all kids ages 12 and under. Registration and bib pick up for the Book It will be in the Book Across the Bay tent at a Solstice Outdoors table on Saturday 11AM-12:30PM before the race. The race starts at 12:30PM for ages 8-12 and 1:00PM for ages 8 and under. Every participant will receive a commemorative medal along with hot chocolate and cookies. Join us for shopping and socializing and discover the new LOLE FALL COLLECTION...our newest arrivals (fresh out of the box). Plus try other special select styles that you can order that evening. Be one of the first customers and get a free LOLE goodie bag. Try on LOLE and enter to win a lovely LOLE piece. Don't miss this fun ladies night! Join us on Wednesday night and let us introduce you to the new fall Mountain Khakis line. We'll be mixing Whiskey Old Fashioneds and spinning vintage vinyl. We're filling our sister store, Solstice, to the brim with fabulous fall fashions. Grab your bestie and stop in on Saturday to shop our new fall lines. Coffee, brunch bites, mimosas starting at 10a.m. 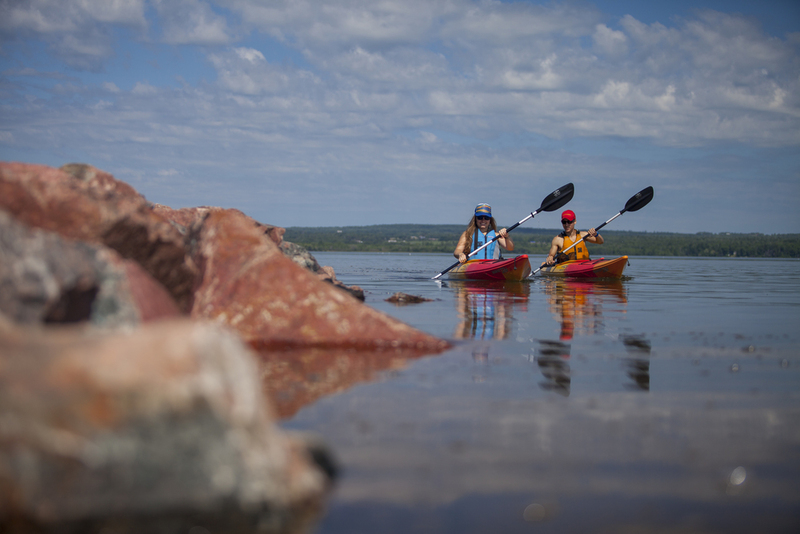 Join us for drop in open paddle every Wednesday evening. Equipment is first come, first serve if it's needed. Cost is $20 and includes on the water instruction. Call to reserve a spt or just drop in. Learn about the gear you need, how to use it, casting instruction and fly tying. Cost is $60 and includes lunch at Blue Wave on the Bay Coffeehouse. Event is sponsored by Solstice Outdoors with support from Anglers All, Wild Rivers Chapter Trout Unlimited and Ashland Parks and Recreation. Join us for our first Annual Spring Expo as we kick off summer in style! We'll have FREE paddleboard and kayak demos throughout the day. Plus amazing deals on new and used paddleboards. Test out our latest gear: Hammocks, Tents, Sleeping bags & more! Wow! It's our 5 year anniversary! Join us on Thursday, May 5th, 5 years to the date we opened the shop, and enjoy 15% OFF Storewide. Plus a FREE summer fun gift from us with any purchase.Thursday Only! Fun, free ski race for kids 12 and under. 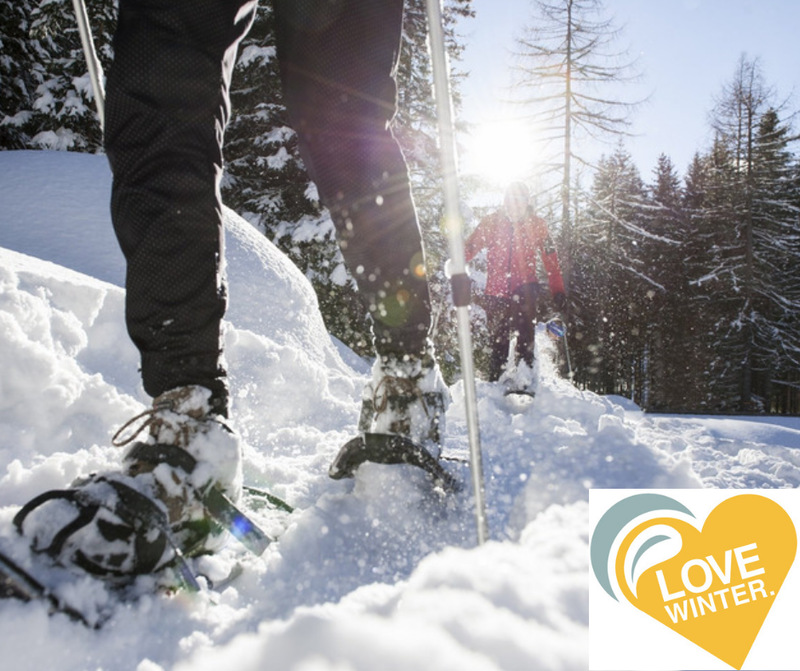 Free guided snowshoe stomp on the new 1.5 miles of packed snowshoe trails in Prentice Park. 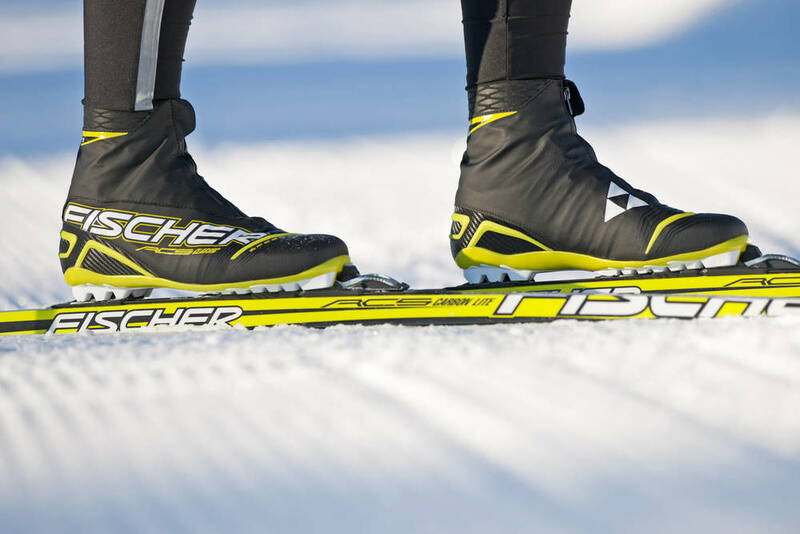 Free TUBBS Snowshoe demos. Bonfire. Hot chocolate. Snow games & more. The event is sponsored by Solstice Outdoors and Ashland Parks and Recreation. What can be better than some holiday cheer? Oh yes, a beer. Snacks. Shopping. (Don't worry we'll help!) Plus free gift wrapping. Get everyone on your list something they really want. Ever wonder what to do with all the beach stone and glass treasures you and your kids have collected along the shore? Join Solstice Outdoors and Lissa Flemming, owner Silverwaves Jewelry, to learn how to drill holes and create fun, organic jewelry for yourself or as a gift. Space is limited to 6 people. Class will be held in the meeting space at Blue Wave on the Bay. Cost is $75/person and includes materials to make 2-3 pendants and a pair of earrings. 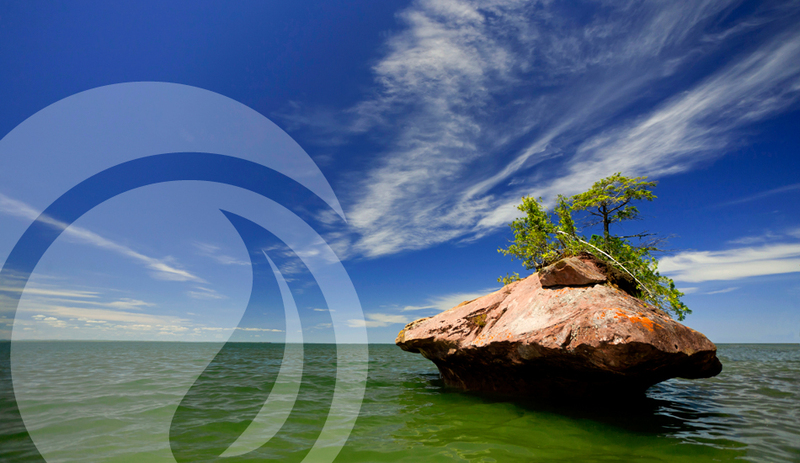 Stand Up Paddleboard race across Chequamegon Bay on Lake Superior. 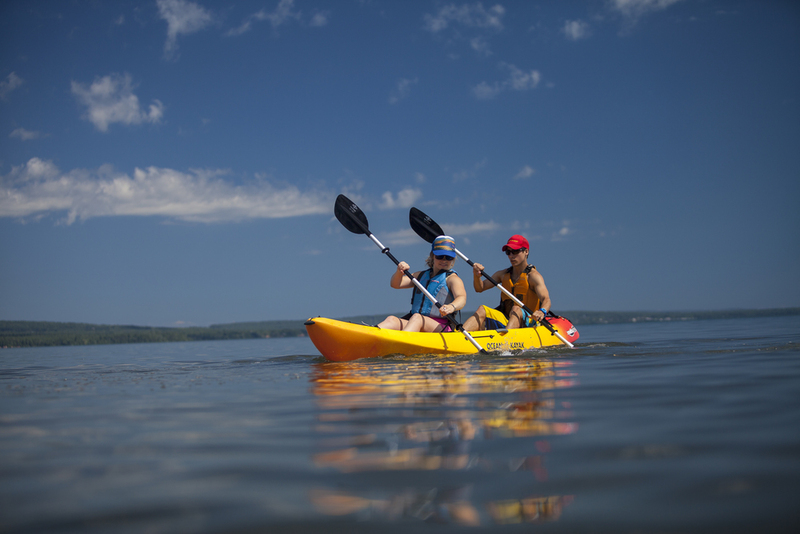 Choose a 14 mile or 7 mile paddle. Register now! Don't want to race? Come down, check out our vendors, demo boards, and take mini class! Join our 10K and Half Marathon Training Team to train for the 10K Cruisin’ the Corridor or the Whistlestop Half Marathon this fall. Whether you’ve been training or running a race is on your bucket list this is a great opportunity to connect with others with a similar goal, get a comprehensive training plan, gait analysis, nutrition recommendations and weekly motivation with an experienced trainer. While previous running is not required; we advise that a basic level of fitness is needed. Starts Tuesday July 14th at 5:30p.m. You will meet every Tuesday at 5:30p.m. with the trainer. Cost is $40 for the program which includes a Solstice Training Team t-shirt, written training plan, weekly contact and educational newsletters, video form and gait analysis, interval and speed work, a tracking and feedback system for those who want to work on speed and finish times, nutrition recommendations and weekly support! Swing by the shop on Thursdays at 5:30p.m. to meet up with other runners for a casual group happy hour run. Runners of all abilities welcome. Typically we run 3 to 5 miles. Sign up each week to win a monthly raffle prize! Join us EVERY Wednesday for a drop in paddleboard class. Cost is $20 and equipment is first come, first serve. Bring a friend and try paddleboarding.